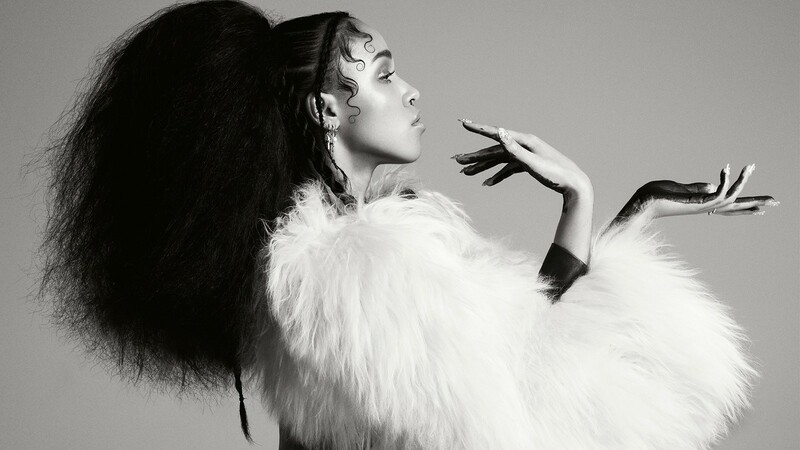 Last night in a small, hot, black box in east London, 200 people witnessed FKA twigs make the transition from cult YouTube star to IRL headliner. After emerging out of a cloud of dry ice to the creepy orchestration of Gavin Bryars’ epic “Jesus’ Blood (Never Failed Me Yet)”, the 26-year-old singer and her band rattled the crowd from their fillings to their feet with a tight repertoire of sub-bass slow jams. “Pacify me, twigs!” shouted one loved-up punter as she launched into “Papi Pacify”, one of her viral hits. “Banger!” gasped another after she debuted “Give Up”, a new collaboration with Lana Del Rey producer Emile Haynie. “You cutie!” yelped someone at the back after a small technical hitch halted proceedings on stage. “You can follow me on Myspace,” twigs giggled in response before dropping “Hide”, the track that kicked off her audiovisual invasion back in July 2012. Hanging off every perfectly pitched syllable, the crowd swayed and nodded their heads in unison, utterly entranced by this snake-hipped vision of the future. / That’s why I need you…” Produced by Liam Howe, it sounds like the Cocteau Twins after a night on purple drank – utterly intoxicating. That month she appeared on the cover of i-D with the word “Love” written on her forehead, fashioned out of her own hair. With no interview, the mystery surrounding her intensified. She dropped out of sight once again, resurfacing in December with the videos for “Weak Spot” and “Breathe”, plus an accompanying Bandcamp EP of her four tracks. 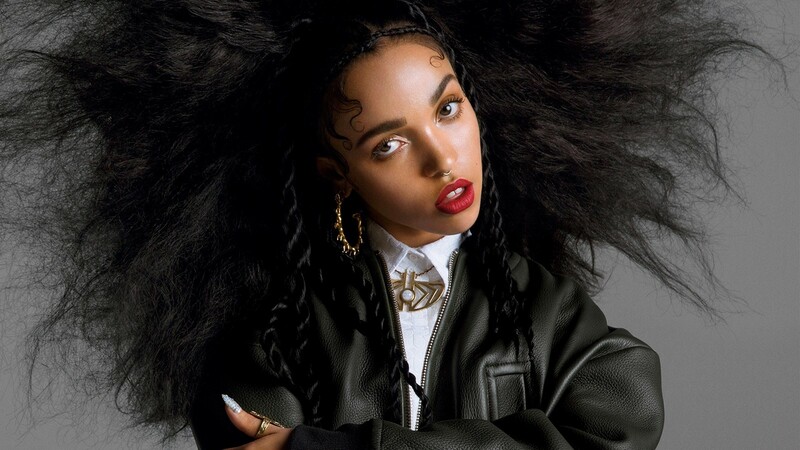 Music critics, always keen for a neat new scene, lumped her in with “experimental R&B” artists like SZA, Jhené Aiko, Tinashe and Kelela. 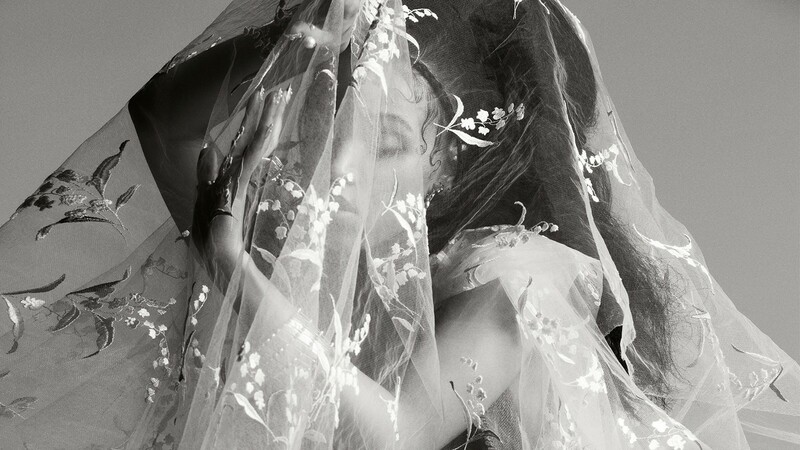 In reality, twigs occupied an altogether more surreal realm than her American peers. As one YouTuber commented on the video for “How’s That”: “You’re listening to 2046.” When Jesse Kanda’s vertiginous, bug-eyed film for “Water Me” hit six months later, it became clear that twigs was far beyond casual categorisation. Conceptually, musically and visually, there is no one else like her. “I’ve always done really weird things. Everybody was like, ‘Why do you do ballet?’, and, ‘Why do you wanna sing opera?’, and ‘Why are you singing jazz with 80-year-olds? Why do you wanna do those things? !’"
She channelled her energy into dancing, winning most of the competitions she entered. For five years, “Tahliah Barnett” was a fixture on silverware across the UK. Her friend christened her twigs because her bones clicked like snapping branches every time she danced. At 17 she decided to move from Gloucestershire to London to throw shapes for a living. After attending Croydon College, she started getting video and tour work with the likes of Kylie Minogue and Cheryl Cole. In 2010 and 2011 she scored her most prominent starring roles, in Jessie J’s “Do It Like a Dude” and “Price Tag” videos. She also submerged herself in youth work, encouraging kids to make music. She only stopped when the government cut her studio’s funding. “I was building up a reputation with these workshops and all of a sudden it stopped,” she says. “It was really upsetting. I’d get young people I had started to build a relationship with messaging me on Facebook saying, ‘When are you coming back? I really enjoyed the classes.’ And there’s nothing you can do. You’re not coming back because the youth centre doesn’t have a studio any more.” Her encounter with Tic Zogson shortly afterwards couldn’t have come at a better time. A week later, twigs invites me back to the Young Turks HQ in London Fields to hear some of the mastered album tracks. There’s a half-eaten tub of tabbouleh on the side table next to her Vivienne Westwood backpack and purse, and the studio bin is overflowing with empty Coke cans. She’s wearing her trusty blue sunglasses, and her nails have been deflowered. Although her lawyers are now confident that she won’t have to change her name, the atmosphere in the studio is noticeably downbeat. Tic’s dad, Zog, passed away yesterday. “I feel so sad,” she says, contemplatively. “I did my first EP in Zog’s house. He was such a cool man. He was really creative. He helped kickstart this journey. It makes me think about my own family; it makes me want to see them more. It’s difficult getting the balance right." As Haynie’s huge beat floods the room, twigs gets off the control desk chair and starts swaying along to the music. “Just nod your head and give up / I’m not going to let you give up, babe,” she sings. Closing her eyes, she lets the sound wash over her, soothing her ears and her heart. As it crescendos, her movements become more pronounced. She jumps up and down on the studio’s tatty, stripy rug, completely lost in the composition. She looks at ease. For a few precious minutes, there’s no pressure, no judgement, no hurt; just Tahliah Barnett dancing in a world of her own creation, happily inching up the spider’s web once again.